It's hard to pass by the watch department at Target or Walmart. They always have interesting, but inexpensive, watches. 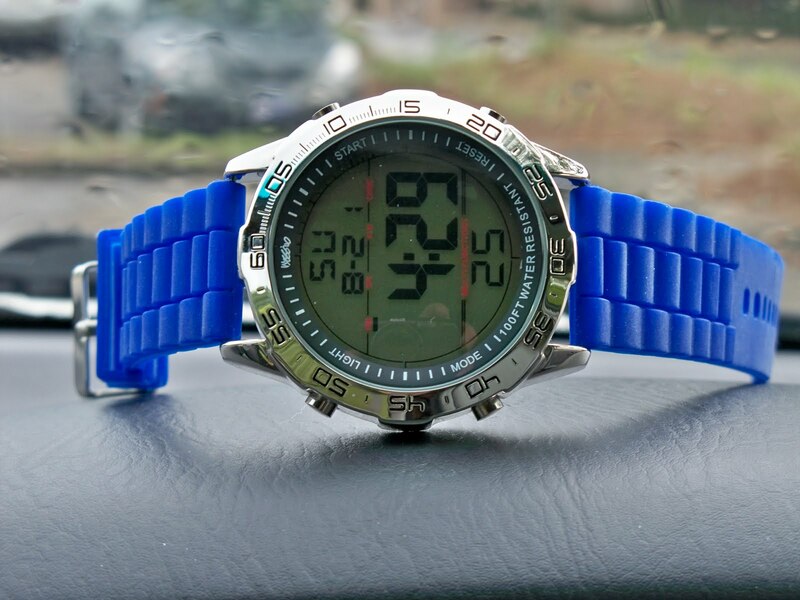 On a recent trip, this big Mossimo digital watch caught my eye and my wife insisted that I get it. Since it was only $20, I obliged and it has turned out to be a great watch. I recently received the green one. I think it is awesome and very catching. It's comfortable and durable thus far as well. The only problem, which I hope you can help me with, is that my watch randomly resets. I set the time, wear it, look down, and notioce that it reads 1:00am, for example, at 9:00pm. I am not accidentally pushing buttons, nor am I banging it against anything. It is a great watch and I'd like to fetch the other colors, but I am very tired of resetting this one, at the very minimum, twice a day. I realize this is no help forum, but I cannot find any info on this online. Figured your personal ownership might could assist me. Thanks in advance!